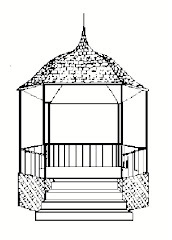 Summer Gazebo Readings: Announcing Our 2009 Schedule!! It is with great pleasure that the Kiwanis Club of Oceanside announces the schedule of Readers for the 2009 Summer Gazebo Readings! 7/6/2009 Independence Day celebration with readings from American History & a free barbeque! 8/17/2009 Gayl Teller Max Wheat J R Turek Open Read (must sign up in person at a prior evening's readings) & Betsy Transom & troupe! Mark your calendar--Summer is coming!!! All funds raised (all--not net--all) by the program help send underprivileged kids to Kamp Kiwanis. Sponsorships are $100 and include your name and logo on signs, posters and the thousands of flyers we distribute, as well as on all announcements (including every email we send). We are also offering "Program Patrons" for $20. "Program Patrons" will have their names listed on the program we will be distributing each week. If you would like to become a sponsor or a Program Patron, send your check made payable to "Oceanside Kiwanis" to me at the address below-- email or include your logo and the listing you want us to print.